Performance Bodies can provide your race team with the same quality products, great service and FAST delivery, that we provide thousands of other race teams throughout the country! With this as our philosophy it is easy to provide LEGENDARY CUSTOMER SERVICE to racers like you. This is something we take very seriously! With a warehouse stocked full of high-quality, race-proven parts and a great team to provide you with our WORLD FAMOUS SAME DAY SHIPPING, we guarantee you won't be disappointed! All orders received will ship the same BUSINESS DAY. If an order is received after our business hours, they will be shipped the next business day. Let us show you why we're commonly referred to as the best in the business! We realize that your life is busy most of the time so we have developed an On-Line Store. You can be confident that your internet order will receive the complete attention it deserves and will ship the same business day it is received. We realize that the selection and order process for RACE CAR BODIES can sometimes be a little challenging and we want you to receive the correct body parts the first time, therefore we ask that you place your order directly with one of our specialists by calling 1-800-722-4641. Their personal attention will help save you time, frustration, and money. Our specialists are highly experienced in what parts you'll need for the best fit and function and will step you through the process of ordering. They also have multiple shipping options available that will get your parts to you without damage, and for the best possible price. In 1980, Scott Braun began making aluminum stock car bodies for himself and a few of his friends. Soon, word got around about these lighter, yet stronger stock car bodies and an enormous amount of interest was shown. Scott began building these bodies in his garage but soon had to move to a larger facility to accommodate the demand. 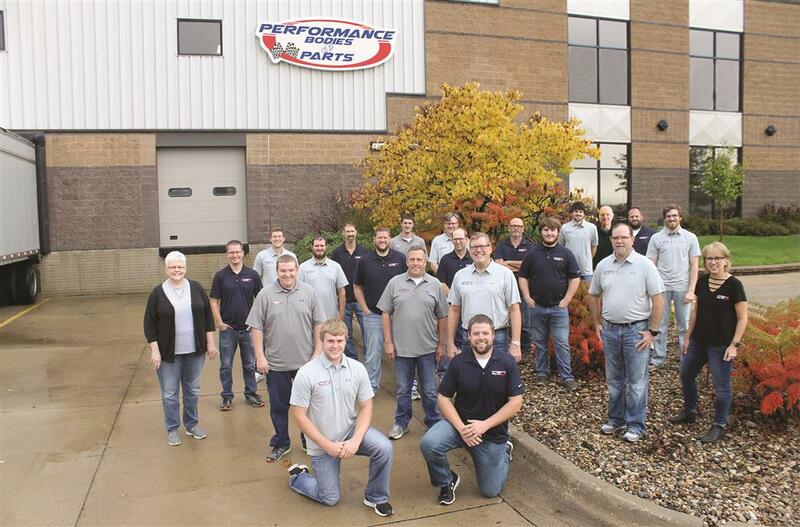 Over 35 years later, Performance Bodies has become a leader in the manufacturing of aluminum stock car bodies, along with stocking a HUGE warehouse full of race car parts. We will always go above and beyond for our customers by providing them with the best service available. 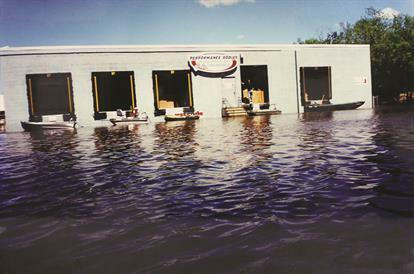 Our legendary customer service was proven several years ago when the old Performance Bodies location was hit by a major flood. The building was surrounded by 4-feet of water and was level with the loading dock floor. Our dedicated staff used boats to get into the building and were determined to maintain our SAME DAY SHIPPING policy by loading product onto the boats. As the water began to recede slightly an old school bus was used to shuttle product to UPS trucks waiting on dry land. That is when our service become known as LEGENDARY! Nothing will STOP our commitment and promise to our customers! Performance Bodies prides itself on our knowledgeable and dedicated staff of professionals. We have several people who have worked here for over 30 years and they are the BEST in their field of expertise. Many of our employees are dirt track racers, crew members, OR huge fans of the sport. Several are second and third generation racers who have literally 'grown-up' at the track. This kind of knowledge of the sport (and products) cannot be learned from a book or with on-the-job-training; it has to be "in your blood." Our staff knows what kind of products and services you need to be competitive; it's the same as what we want. That's what positions Performance Bodies ahead of the competition. GREAT product!! GREAT service!! DEDICATED staff!! We're certainly not the biggest but we are the BEST!